Look sharp with the BaByliss For Men Titanium Nitride Trimmer, a rechargeable hair trimmer for the face and body. Combining power with precision and versatility to create an all-round grooming tool, the multi-trimmer is ideal for grooming body and facial hair, and for tidying up unwanted nose and ear hairs. Equipped with five professional attachment cutting heads, each blade utilises Titanium Nitride to ensure long-lasting sharpness and precision, and its eight detail and trimmer attachments allow you to preen and groom other areas of the face and body. Programmed with a rapid charging system for long-lasting power performance, and a quick charge function to provide enough power for one shave when you're in a hurry. Complete with 8 attachments: precision trimmer, nose and ear trimmer, body groomer, detail trimmer, foil shaver, 3 position stubble comb guide, 2 x comb guide (4-23mm). OBS! Denne varen har en britisk kontakt med tre plugger. 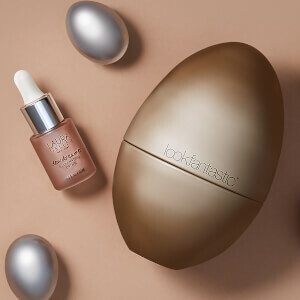 Gratis Beauty Egg med Laura Geller Day Dreamer Illuminating Drops når du handler for 450 kr.